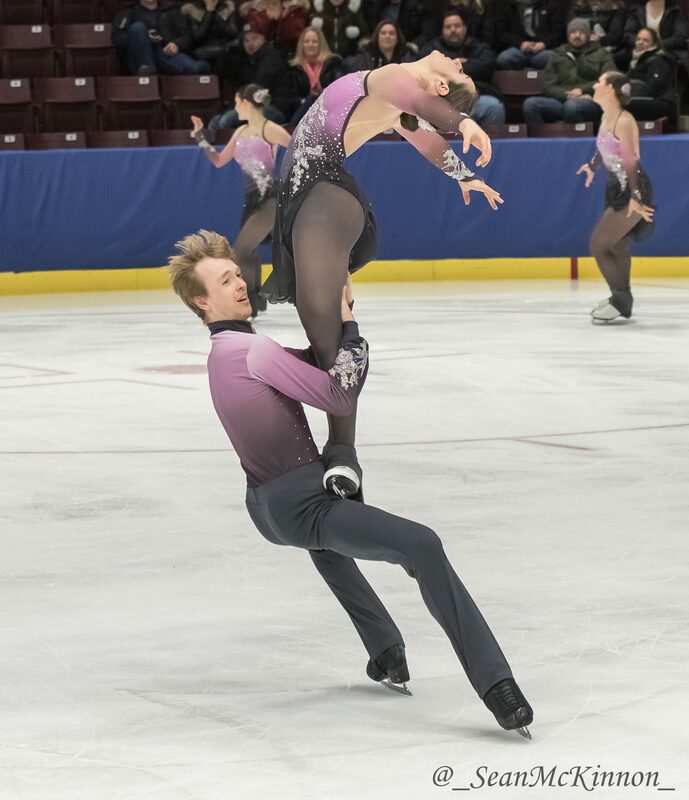 On January 6, 2018, Les Suprêmes called checkmate on the junior competition, securing their spot with NEXXICE on Team Canada. Hovering at a cool -24 degrees on Saturday evening, the frigid temperatures didn’t stop the crowds from rolling into the Hershey Centre to watch Winterfest, Canada’s largest synchronized skating competition held in Mississauga, Ontario. Dueling as the World Championship qualifier for the junior event, the weekend saw five teams compete, including the Ann Arbor-based Hockettes, with four looking to earn a spot on Team Canada. 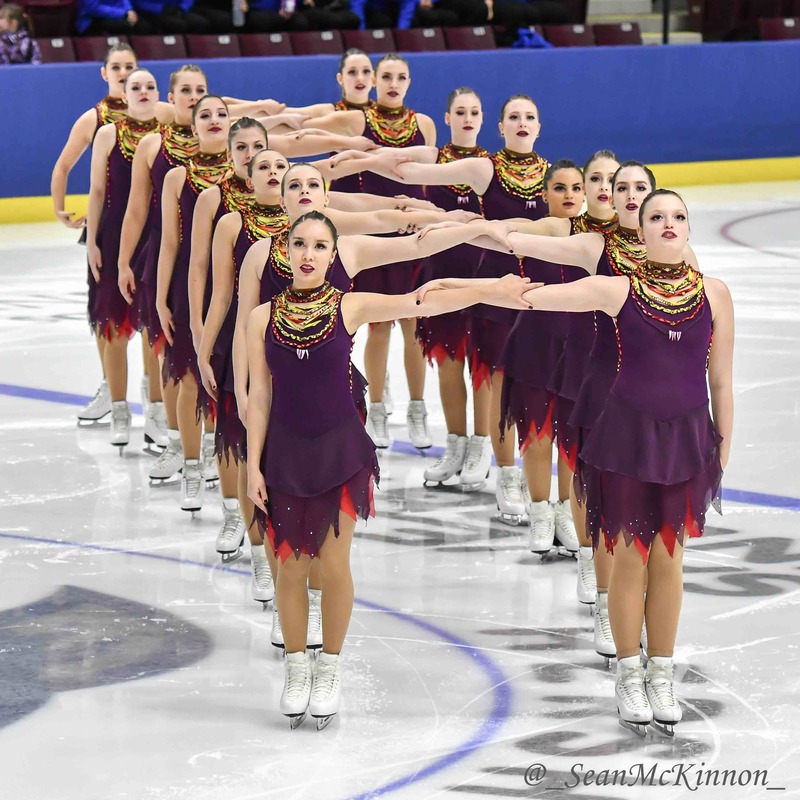 On the Friday evening, NEXXICE (Burlington, Ontario) opened the junior event with an emotional short program dedicated to teammate Amanda Kauffman. Skating to a remix of "Rise Up" by Andra Day, NEXXICE earned a total of 54.97. Opening with a strong pivot, Les Suprêmes closed the junior event with their "Bollywood" performance, earning 63.06. New on the junior scene is NOVA (Brossard, Québec). 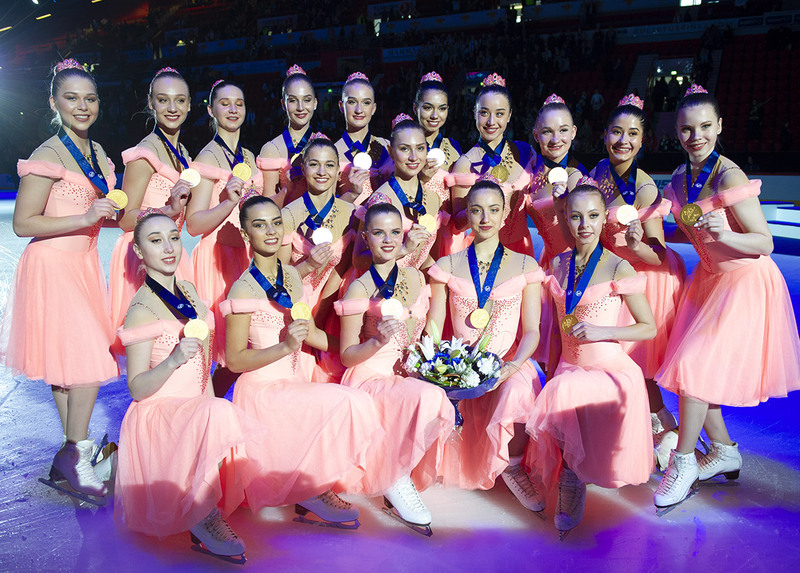 Winners of the Boston Classic in November 2017, NOVA skated to a selection of tribal music for their short, earning 36.99. 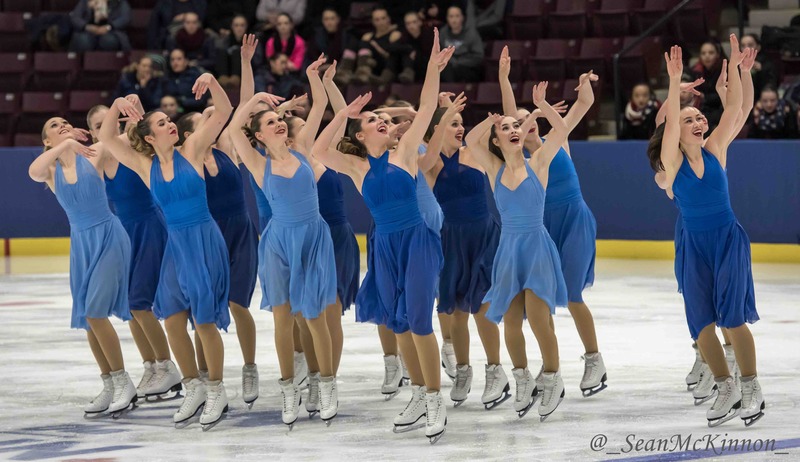 Representing Brampton-Chinguacou, Gold Ice is no stranger to the Junior division, where they won silver at the 2008 Junior Worlds. The team folded after 2011 but returned this season skating to “Sweet Dreams” by Eurythmics (41.77). Hailing from the first synchronized skating club in history, Hockettes Junior made the frosty trek up to Winterfest, skating to selections from Wonder Woman (33.94) for their short program. 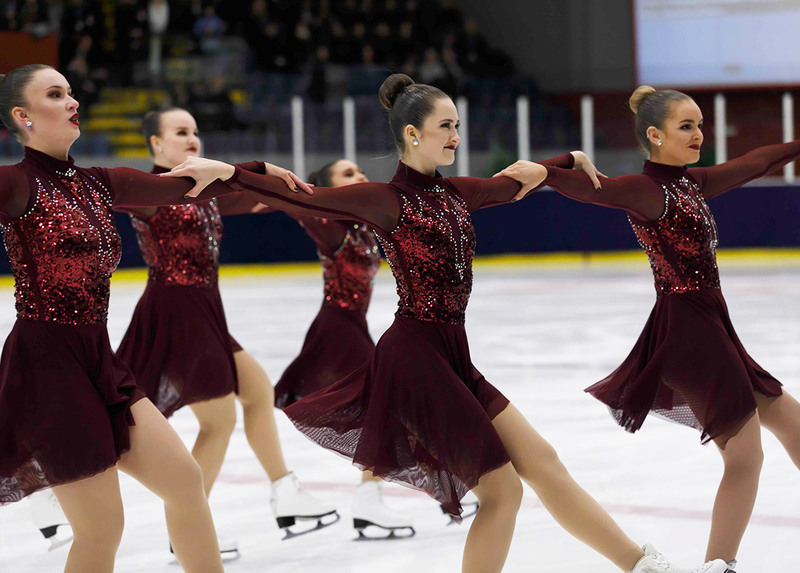 Wearing burgundy sweetheart dresses, NEXXICE opened the senior event with their "Spellbound Concerto” by Miklos Rozsa (70.90). For the first time, Adrian College (Adrian, Michigan) joined the Winterfest lineup skating to a cover of “Paint It Black” (40.58). NOVA Senior closed the event with a high energy rendition of “Blue Suede Shoes” from Cirque du Soleil’s Viva Elvis (60.18). On Saturday evening, Hockettes kicked off the junior event with their Cher-inspired program (74.85) followed by Nova Junior. Skating to selections from Kill Bill (74.19), NOVA finished fourth overall and Hockettes fifth. Les Suprêmes junior took their opening positions with half of the team on one side wearing black mesh, and the others directly opposite in white. A chess set had been created, where one piece (skater) moved at a time. Suffering a few bobbles towards the end, Les Suprêmes earned 96.04 and earned 159.10 overall to take the title. With a fire lit, NEXXICE Junior came out on Saturday evening with a calm confidence. 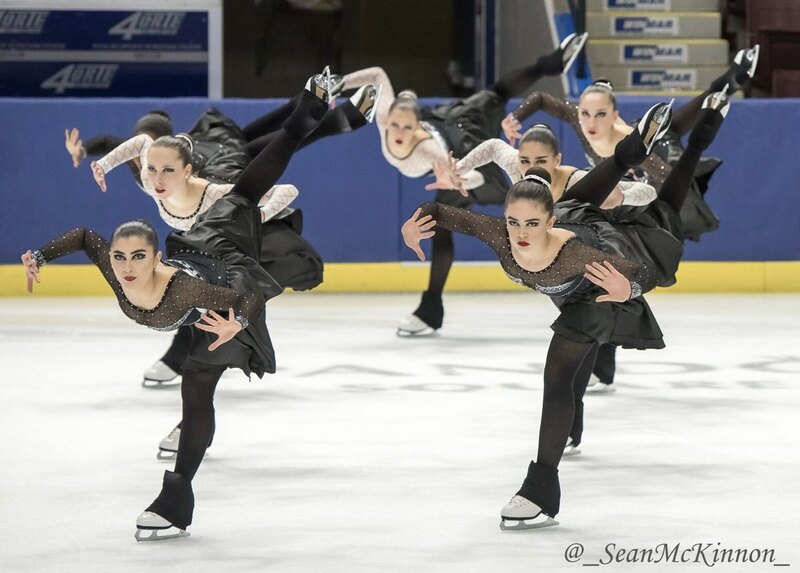 Their imagination-themed program, featuring music from Willy Wonka and Edward Scissorhands, was enough to earn the free program title (99.21) and finish second overall. Gold Ice capped the evening with their rendition of “Evil Queens,” portraying a selection of female Disney villains. A strong performance (82.73) moved them up to third position overall. In the Senior division, Adrian College, skating to Disney's "Soarin'" and "Illuminations," pushed through injuries and setbacks (84.13) to finish third overall with 124.71. NEXXICE took the ice wearing a spectrum of blue; the ombre collage is a fitting choice for their "River and Blues" program. Opening with "River” by Leon Bridges and closing with “S.O.B” by Nathaniel Rateliff & The Night Sweats, NEXXICE gave the crowd a reason to tap their toes, earning 128.50 in the free and 199.40 overall. NOVA opened wearing soft pink and grey dresses, skating to Liebestraum by Frank Litz. Two skaters shot off at the end to perform a Virtue and Moir inspired lift and pair spin, granting them a standing ovation (121.25) and enough to secure second overall (181.43). 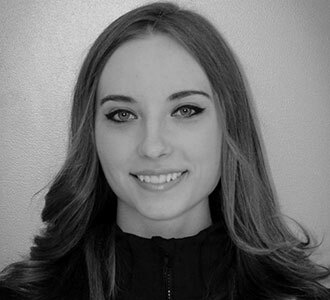 I competed in seven ISU World Synchronized Skating Championships, earning two world titles and three world silver medal finishes from 2009-2015. Since my retirement from sport, I’ve been actively involved as a core member and supporter of One Team Movement, previously interned with the Canadian Olympic Committee, currently freelance with Gold Medal Plates and work full-time as a marketing coordinator with Splash Effect. I earned a double major in professional writing and communications (H.B.A. with High Distinction) from the University of Toronto Mississauga and Sheridan College in 2015.